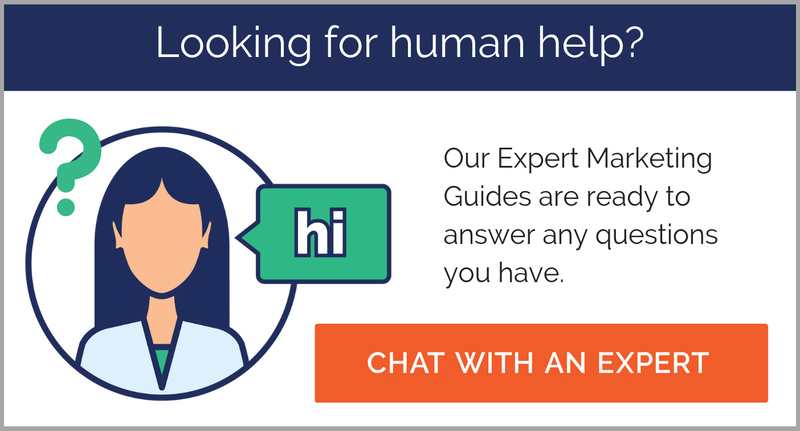 We did a little experiment for our most recent webinar, Ask the Experts: How to stand out on Google. 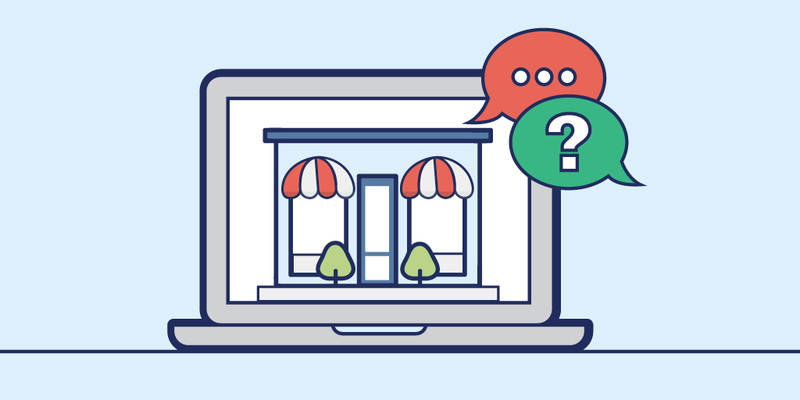 When registering, we asked participants to submit their own questions about Google My Business. And boy did you guys have questions! The response was overwhelming with more than a thousand questions submitted in advance, and even more questions poured in during the event itself. We had a blast and our Google and ThriveHive experts answered as much as they could in our time together. But with that much of a response, we know we didn’t get to all of your great questions in one go. So here’s a breakdown of some of the most common questions we received, answered expertly by our very own David Mihm, VP of Product Strategy. How do all my Google accounts fit together? There are many, many Google products—Gmail, Analytics, Drive, and upwards of 200 others—and they’re all tied to a single Google account. So you would use one Google account to access all of these products, including Google My Business. You don’t need a Gmail email address to manage all these either, you can use your personal email address. You’re not automatically hooked up to all of these things, so you add them at your convenience. How do I stand out without a lot of advertising spend? As a guy who’s been in the local search world for about 15 years, I think Google My Business is the first place a business owner should start. It’s a free product, so there is no advertising budget required. You can fill out all this information, you’re able to post, add your categories and respond to reviews and questions for free. Google has some great success stories on their own website if you’re interested to know how other small businesses are taking advantage of this free product. It really is the key foundational element of your digital marketing presence, and we hope that you would start by going to our free Grader product to help you figure out how to set up your profile for the maximum customer engagement for when they find you on Google. If you do have some advertising spend to work with, our marketing guides are can help you figure out what you should be posting on a weekly basis, how to ask your customers for reviews and streamlining that process, and other optimizations catered to your business goals. Do I need a GMB profile if I already use Facebook? Facebook has done a great job not only with their free product offerings but also getting the word out to business owners. Naturally, there’s a lot of interest on how to drive visitor—either from Facebook to the website or getting more followers on Facebook. Facebook certainly has its day, but the data of points out that for small businesses, more of their customers are coming from Google. It’s true that you see a lot of folks willing to engage with you on Facebook from a social standpoint, but if you’re looking for customers, Google is definitely a high-intent sort of way to capture those folks. Google Plus went away on April 2, so is Google My Business going to replace Google Plus? Sort of. Google is definitely rolling out more social features within Google My Business. 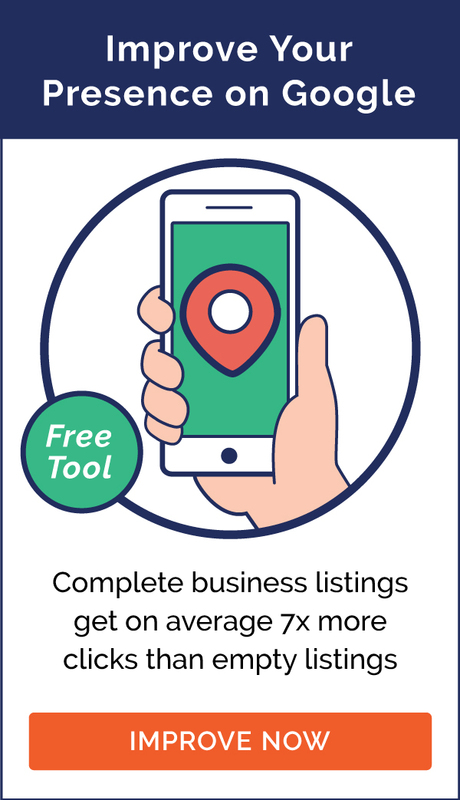 Google Maps users can follow small businesses and see fresh posts, which is a great opportunity for you to reach out to your existing fanbase. We’re also seeing messaging to start playing a larger role similar to how Facebook messaging is very popular. So I don’t know if it will fully replace Google Plus, but more social features are making their way into Google My Business. How does Google handle local searches? Take a look at your Insights tab to get an idea of how people are searching. This can possibly give you ideas on what to post about or additional content to put on your website to help draw even more customers. Searchers don’t need to be looking for your business specifically; they could also be looking for something broader. Google actually shows you within it’s Google My Business Insights how customers are searching for your business. Direct searches are when users are looking you specifically like “Anna’s Hand-Knit Apparel.” That would be a direct search and would show up in your Google my business profile. You’ll also notice discovery searches, where something like “craft apparel store in portland” brings them to you. And with so many mobile searches happening nowadays, Google has location information on where these searches are coming from. If Google knows where users are doing a mobile search query, it wants to show users local businesses near the physical location where the search is being performed. 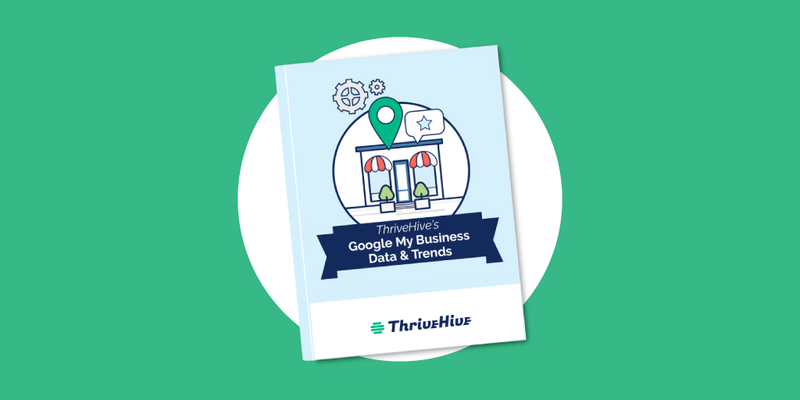 So if you want to take advantage of this huge increase in the number of mobile searches that include terms like “near me” or the name of the city, your Google My Business profile is really the first place to start for that optimization. 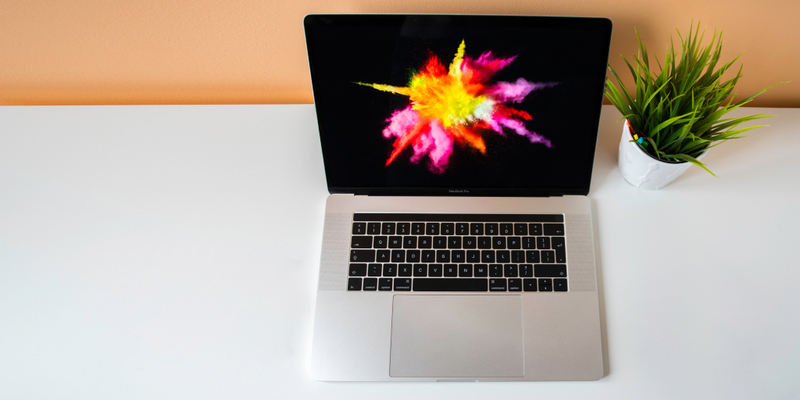 GMB is not ideally suited for purely e-commerce businesses. Certainly yes, if you do have a physical location in addition to being online, claim that physical location and create a profile. It’s a great thing to have from a reputation standpoint to have that nice big profile when someone searches for your brand. But Google My Business is really geared more towards businesses with a local presence that serves a local customer base. For my home-based business (without listing my home address)? Google does allow you to completely hide your address but you will still need a physical address when you’re going through the verification process. For that reason, Google does not accept P.O. Boxes. 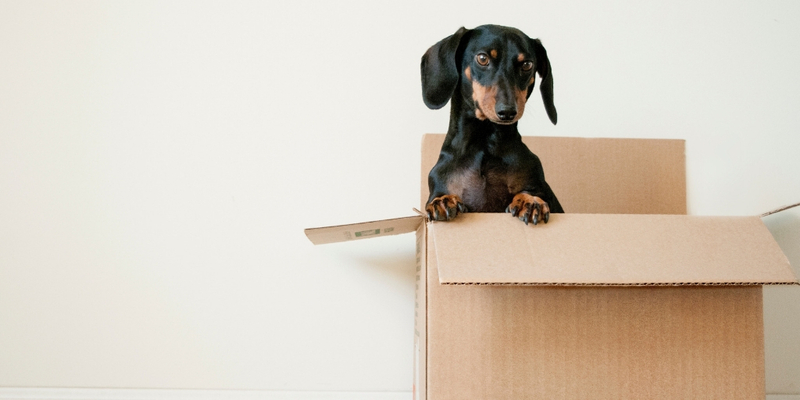 When you claim your business, you do have the option to hide that address in the claim process. Related to this, you do have the ability to select a service area. 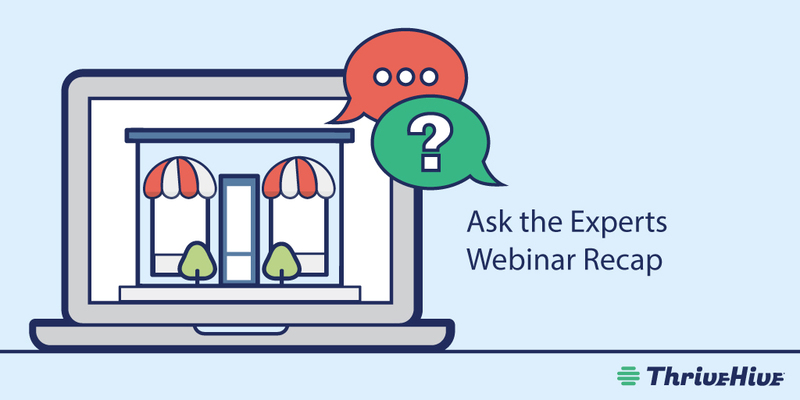 This feature is actually going undergoing quite a few changes right now, but as of our webinar, you can hide your address if it’s not a place that customers come to you. Within your Google My Business Profile, set a zip code or city level to explain how far are you be willing to deliver to or service. You’re not limited to a main coporate account; Each location in a multi-blocation busienss is eligible for it’s own Google My Business profile so it will accrue its own set of reviews. Currently, there isn’t support within Google for companies that are by appointment only. It’s something I know the Google My Business team has heard and may be looking at it as a future feature. But for right now, you have to set operating hours that reflect when you’re physically at that location. Do Posts on my Google My Business profile affect my SEO? This is a very popular question and it’s still an open question those of us in the SEO industry are still trying to figure it out. Google is not going to share any information around to this they don’t like to reveal their secret sauce to their algorithm, so right now we’re just guessing. One of my colleagues Dana DiTomaso from Kick Point has definitely seen some evidence that Google posts increase SEO, though it’s still an open question for me. I haven’t seen posts affect rankings, but one of the things that we are seeing right now is that if you’re already ranking in one of those local pack results, sometimes Google will pull in content from Posts into that existing profile. It is worth it to highlight services that are popular and that you want people to know about with your posts so that when you show up in results, more people will see that you offer those services. How do I contact Google My Business? There’s a very popular Twitter account, @GoogleMyBiz, which is staffed pretty well and it will help respond and clear up any issues. There are also a number of support forums where Google handles some issues. Is Google really contacting me? There’s a lot of questions about potential scam calls—people saying your Google listing is in jeopardy—by and large these calls are scammers. Typically, Google will not call you for this reason. There is a new Google product, however, that is part of their Google Assistant that does call businesses on an automated basis to do things like book appointments or ask about business hours. So, unfortunately, it’s a bit of a muddy answer. Google does call you from time to time, so you should definitely check the caller ID. It will say that Google is calling you and not some random number. How do I get rid of pictures on my Google My Business Profile? If it’s an inappropriate photo, you can flag it as inappropriate. But generally speaking, it’s pretty hard to get photos taken down. As a Google Maps user, you can report feedback that these are not relevant, but it can be very hard to have images removed, unfortunately. Do professional photos make a difference? We certainly see evidence that better photos yield more and better engagement with customers. Whether or not to request in Google trusted photographer is a decision best left to the individual businesses. I haven’t seen any evidence to suggest that doing a 360° tour or working with one of these trusted photographers has a direct effect on rankings. But I would say conceptually you want really high-quality photos and that’s about as far as I can answer that question. Those of you that have used messaging on your Google My Business profile have seen a lot of changes happening there. It feels like Google is moving messaging more and more into the Google My Business app as they don’t currently offer messaging on the web, so there’s not an easy way to tie that together. That’s something ThriveHive is looking at to help organize messages into one consistent inbox. But for right now, unfortunately, we don’t have a great answer to this question—it’s very much in flux. Why doesn’t Google have my category? Google has a pretty robust list of categories—it has more than a thousand options, so additions are unlikely. But they do occasionally expand their category set and there are some forms that you can fill out your make that request. In the meantime, your website is the best place to include that longer tail, more relevant information as opposed to the category field on your Google My Business profile. Reviews are another way that Google gathers longer tail relevancy information. So if customers say, for example, that a company provides a special kind of landscaping like “Japanese Bonsai trimming” in the review it’s more likely your business will show up for those queries. Number one is Google has expressly forbidden the practice of review gating, which is only asking your happy customers for reviews. So to get more reviews, you need to ask all customers for reviews be part of your everyday business process. Find a natural point in your business where it makes sense to ask for feedback. We also had a lot of questions on the policy of incentives, which it’s not just against Google policy, but also the Federal Trade Commission saying that you are not allowed to offer incentives to customers in exchange of reviews without including an advertising disclosure. As that indicates you’re incentivizing, Google will not support it. This is just another way to ensure that reviews are authentic and to help remind you to ask for reviews as part of your everyday business practices. What if my business is in a sensitive industry? Unfortunately, Google does require a Google account to leave a review, so there will be some record of the person who left the review. This can be challenging for those in sensitive industries. I would just say if you are and sensitive industry, just be aware that your competitors are having the same challenges that you face. Also, Google is aware that a plastic surgeon or a DUI lawyer is going to have far fewer reviews than a typical pizza parlor or even a dentist. Remember, you are competing relative to your competition and not every business needs to have the same sort of volume of reviews. How do I get bad reviews taken down? There really isn’t a way to take reviews down if someone has left a bad review. If the review contains inflammatory language, you can report those reviews as inappropriate in Google Maps. But if someone just had a bad experience, the best way to handle it is to respond to that review empathetically to make sure that your future customers are seeing you as a responsive, positive business owner that takes their feedback to heart. It can be tough, but don’t be defensive or lash out, rather let people know that you’re trying to address their concerns in the future. How do I get to number one? This is a pretty common question; everyone wants to get to the top! I would just start thinking about optimizing your Google My Business profile, even before your website. Google My Business is far less technical than building a website, and it is much easier to use. Adding photos, adding a description, getting reviews from your customers, creating content and posts, all of those tactics will really increase the engagement in your profile. Google does have a public statement on how they determine a local ranking in the GMB Help Forum. I would pay particular attention to the section on prominence. They are really explicit here that review count and score are factored into local search ranking in that position. And local web results are also factored in here, so all the things that you can do to optimize your website can also help support what you’re doing on your Google My Business profile, as well. Sarah is the Head of Content for ThriveHive, where she creates strategic content assets to help business owners and marketers own their digital presence and connect with their customers. When she's not wordsmithing or brainstorming new ideas, she enjoys exploring Boston or curling up with a good book.